A Department of Defense Directive (DoDD 5144.02) issued April 22 clarifies the positioning, navigation, and timing (PNT) responsibilities for Teresa Takai, the assistant secretary of defense for networks and information integration (NII) and the DoD’s chief information officer (CIO). Signed by Ashton B. Carter, deputy secretary of defense who represents the department on the interagency Space-Based PNT Executive Committee, the directive is expected to clear the way for DoD to move ahead on a variety of GPS- and PNT-related initiatives that had been sidelined by reorganization following the change of administrations. In recent comments at a British Embassy symposium described by one observer as “a powerful talk,” Takai outlined her hopes to advance an emerging PNT strategy that would modernize GPS within an overall evolution of PNT architecture and missions. Among these was an interest in looking beyond GPS for options to improve the overall PNT capabilities for U.S. and allied warfighters, including other GNSS systems such as Europe’s Galileo, and efforts by other nations to upgrade Loran-C systems to enhanced Loran (eLoran). The latter comment was cheered on by UK PNT expert David Last, who also addressed the symposium about British efforts to detect and mitigate GPS jamming as well as implement a UK eLoran system. Attendees at the symposium said that Takai underlined the need to focus on the robustness of individual PNT capabilities and the ability for DoD personnel to rely on combinations of PNT under various operations conditions. DoDD 5144.02 authorizes the DoD CIO, as a principal staff assistant (PSA) reporting directly to the Secretary of Defense, “to establish DoD policy in DoD issuances within the responsibilities, functions, and authorities assigned in this directive,” including policy, oversight, and guidance for matters related to PNT. (1) Serves as the lead for PNT policy within the DoD and the DoD representative for all interagency, domestic, and international forums related to PNT. 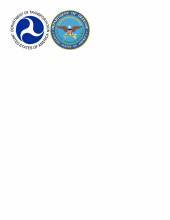 (2) Develops and maintains the Federal Radio Navigation Plan. (3) Provides policy, oversight, and guidance on PNT enterprise-wide architecture and requirements. Takai will also have similar responsibilities related to the electromagnetic spectrum, which involves such issues as the recent effort by LightSquared to launch a wireless broadband network operating in frequencies adjacent to the GPS L1 band.